The third quarter of this year looks set to see a further €450m invested in the Irish commercial property market with the prospects that this year it will top €1bn for the first time since 2007. That’s according to Domhnaill O’Sullivan of Savills Ireland, who said the firm started 2013 with around €240 million of investment property sale agreed and in legals. There was a further €200 million of stock available and having reached the half-way point in 2013, over 50 investment property sales have completed with transactions amounting to €610 million. This compares with a turnover of €170 million for the first half of 2012, a remarkable increase demonstrating the continued momentum which was witnessed in Q3 and Q4 of last year, he said. “While turnover for the first half of 2013 exceeded that of the entire of 2012, supply continues to be a problem in a market with no shortage of well capitalised buyers. Due to the level of competitive tension that exists at present, we forecast yield compression in the office and multi-family sectors whilst the second half of the year will also see an increase in the volume of retail investments coming to the market,” said Mr O’ Sullivan. 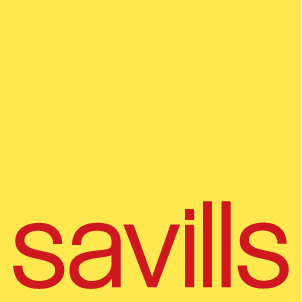 Savills say it is evident from the marked increase in turnover that investors have renewed confidence in the Irish market, and there is strong demand from foreign buyers, particularly from the U.S., Germany, the UK, Israel and Australia. The top deals completed in the first half of the year included the sale of Clancy Quay, a prime multi-family asset located adjacent to Heuston Station in Dublin 8 to Kennedy Wilson for a price in the region of €82 million providing a net initial yield of approximately 6.5pc. There was also the sale of The Gemini Portfolio, which contained three multi-family assets located in Dublin and Cork to the Comer Group for a price in the region of €65 million and the sale of Bishop’s Square offices in Dublin 2 to King Street, a US investor for €65 million providing an initial yield of 9.8pc; the German fund GLL bought 102-104 Grafton Street, which is occupied by River Island and Wallis, for €40 million / 6.9pc initial yield. An analysis of the turnover figures for the first half of the year shows who the buyers were with Private Irish / Irish funds acquiring €312 million / 51pc of turnover; American’s were the next largest buyers acquiring €161 million or 27pc of market share, and European’s acquired €81 million or 13pc of market share.